Blue Book Services has made it easy for you to reach produce professionals and drive sales by promoting your products and services through our print and digital advertising opportunities. Several strategic opportunities are available to get your company in front of industry professionals, that are unmatched by other companies. Whether you choose to align your company with various commodities through our “Know Your Commodity” ad option, get your marketing message in The Produce Reporter daily e-newsletter, or advertise in Produce Blueprints, your company’s campaign will be well served. Via Produce Blueprints magazine, offering various options for size, color and placement. 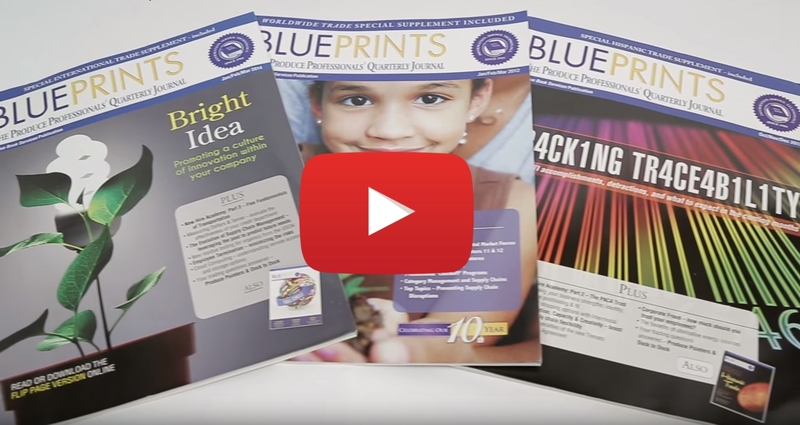 Accessible both in print and online, Produce Blueprints is also distributed at major trade shows and conventions. Our in-house design staff can set-up your ad at no charge. The Produce Reporter e-newsletter delivered daily includes breaking industry news, analysis, retail insights and more! See a sample newsletter here. Trading & Transportation Guidelines – Vital information used by anyone who wants to expertly navigate the trade and transport of produce. Click here to view the current issue. To learn more about advertising opportunities through Blue Book Services, feel free to contact us by phone or online. We’ll be happy to help you “get the word out” about your business and your brand in any way that we can.